This is a dessert that my mom used to make that would be perfect for a Valentines’ Day treat. I made the whip cream and chocolate ganache to step it up a notch. This was a BIG hit with friends at the dinner we hosted last night. I made 6 pots out of this so change accordingly if you want to make more or less. 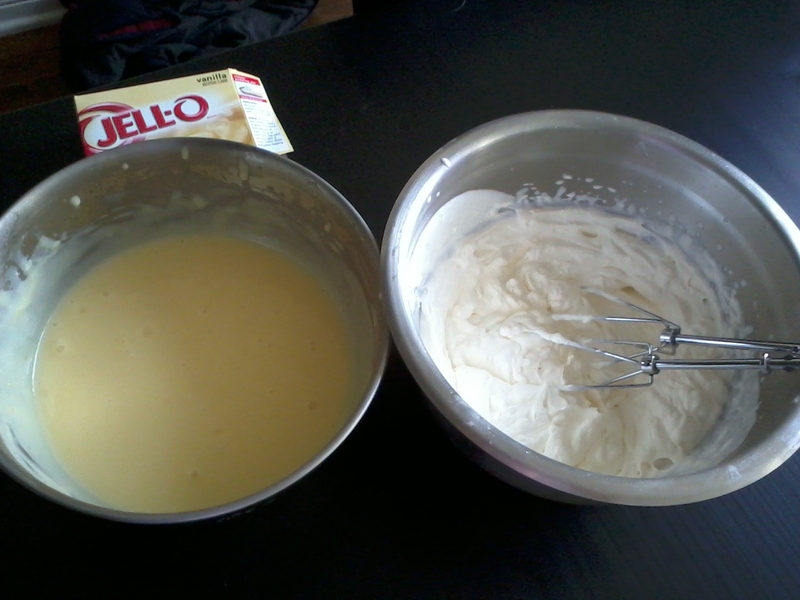 First make the instant pudding which just requires milk. SUPER EASY. It sits for 10 minutes in the fridge. Then whip 1.5 cups of whipping cream. 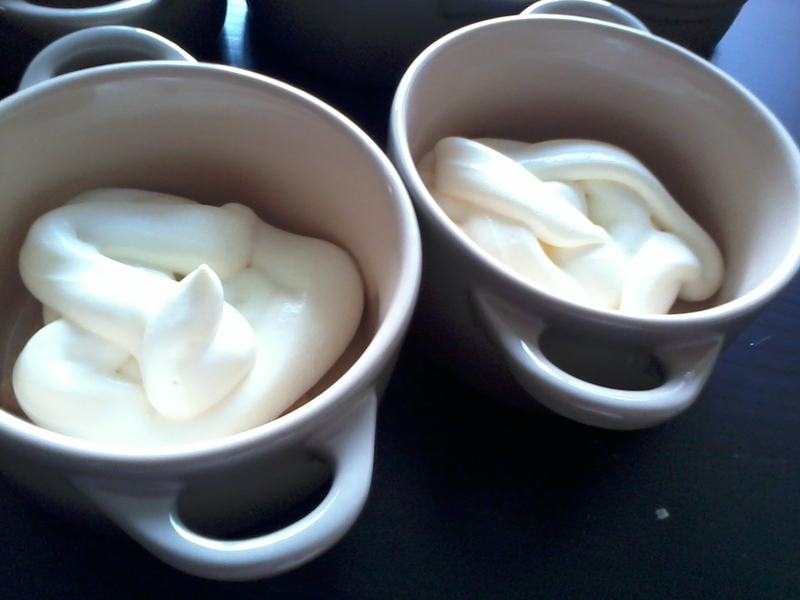 Fold the instant pudding into the whipped cream. Put it back in the fridge to sit while you make the chocolate ganache. First chop your chocolate into bits. 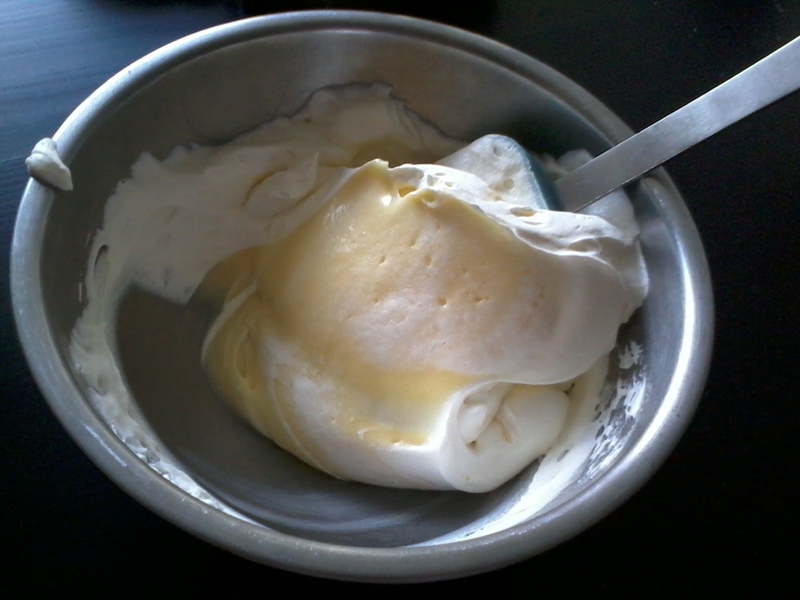 Then pour the cream in a double boiler over medium heat. 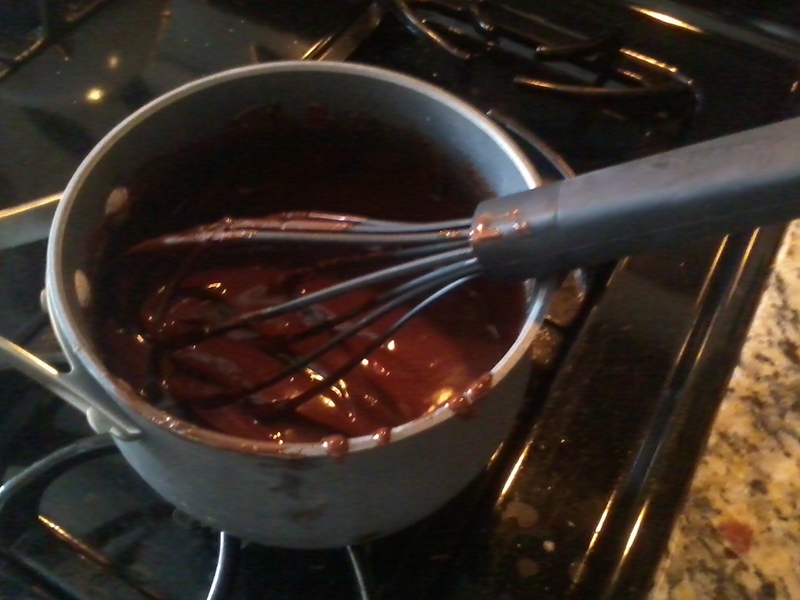 As soon as it starts to bubble, add your chocolate and stir until chocolate has melted. Let the ganache sit off the heat for a few minutes to help it thicken. 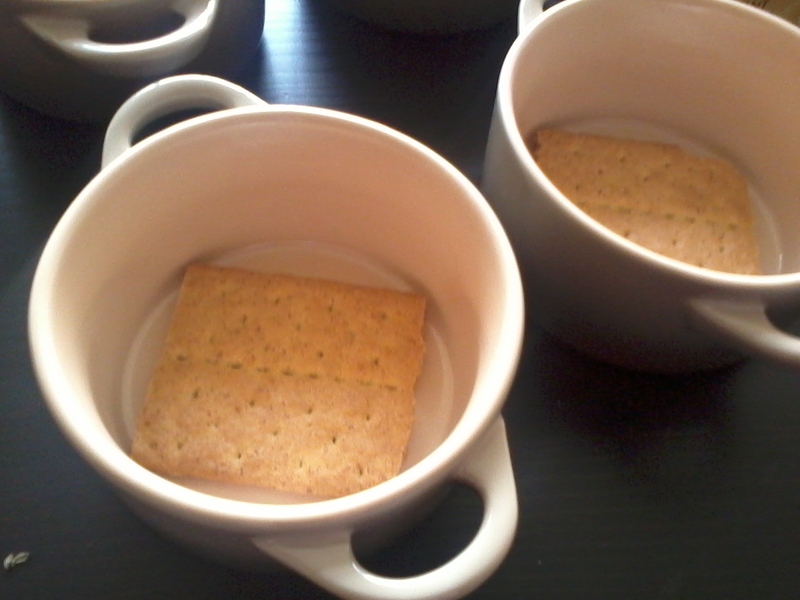 You can either layer this with graham crackers in a small casserole dish or in individual pots. The pots are cleaner and have a better presentation but either one works. 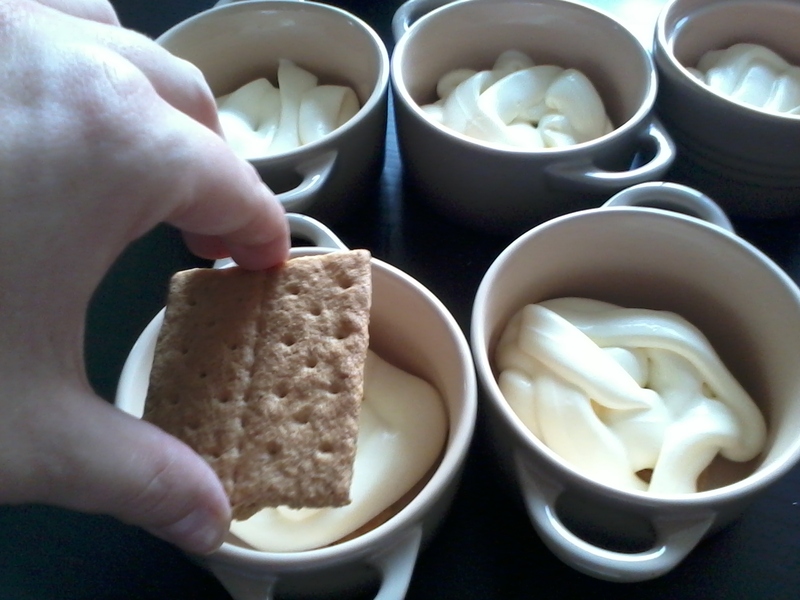 You just layer graham crackers and the spread the vanilla cream over it. Put the vanilla cream mixture in a baggie and piped it out for better control but you can just spoon it. You should be able to do this about three or four times before topping it off with chocolate ganache. Let it sit in your fridge for at least an hour before serving. This is a quick and easy dessert that looks and tastes like you slaved over it!